We use fresh ingredients and offer all the best quality products and services for you. A fusion food boutique where pre and post workout nutrition is available. 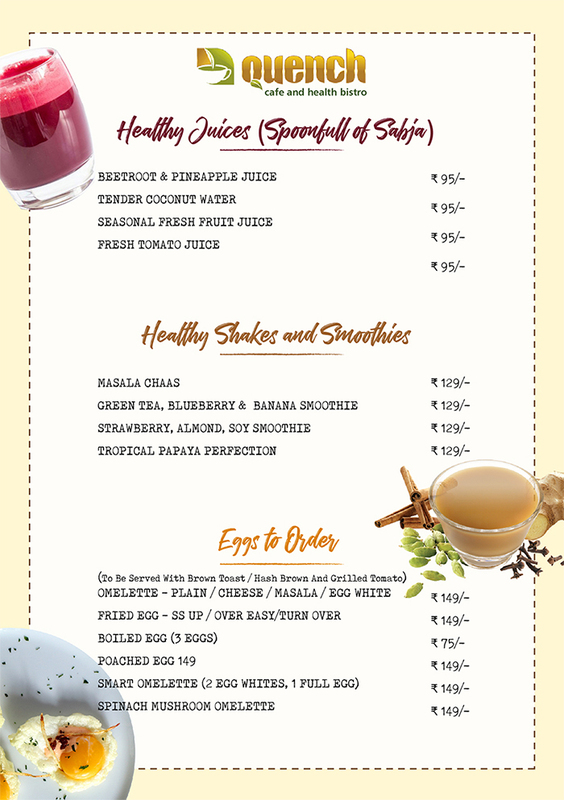 Food served here are chemical and preservative free, highly, high on proteins with the perfect blend of taste and health. 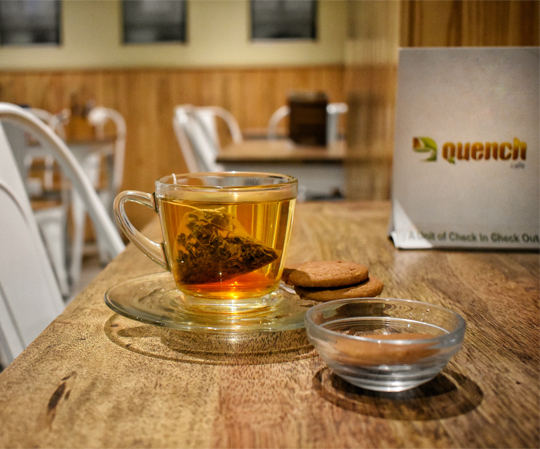 Quench, our organic cafe has been developed primarily to cater to the needs of people looking to have a tasty yet a healthy treat. The cafe also doubles up as a Cafe and Health Bristo – a big part of it is Health as well as Coffee and Conversations: a great space for fitness consultants, to talk to your trainers and fellow fitness enthusiasts.